It is with great pleasure I post this pic up on the blog. I found this online just now and as I do not tend to carry a camera I can miss moments like this, of which I am very proud so maybe it’s time to get a camera… Anyway, from left to right, myself looking knackered holding a copy of The Mice: The Factory Menace, Shane Chebsey holding Madame Samurai and Ben Dickson holding Slumdroid. 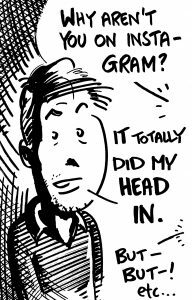 Shane is one half of Scar Comics, who are, in my opinion, England’s hottest independent publisher of graphic novels and Ben is the writer of Slumdroid as well as the acclaimed Falling Sky. My book is available only at conventions at the moment but will soon be more widely available and when that happens I’ll be blogging it. This picture was taken at the amazing Kapow! convention in Islington, London, April 2011, which was the best UK con I have ever been to and well worth going to next year if you get the chance. 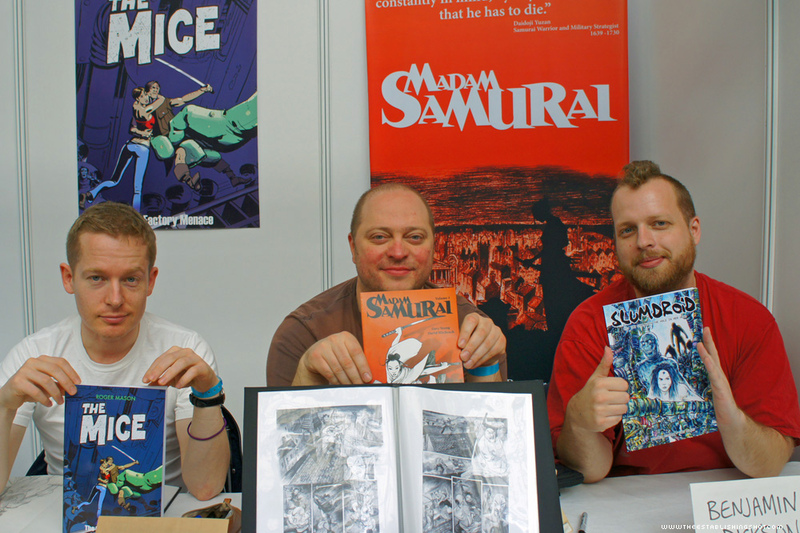 The Mice sold really well and we at Scar had interest from a big figure in the UK comics publishing scene, which was tantalizing to say the least. For a preview of The Mice go to my website, www.looksgoodonpaper.co.uk and click on the link.